How do I add an offline donation to my giving day totals? 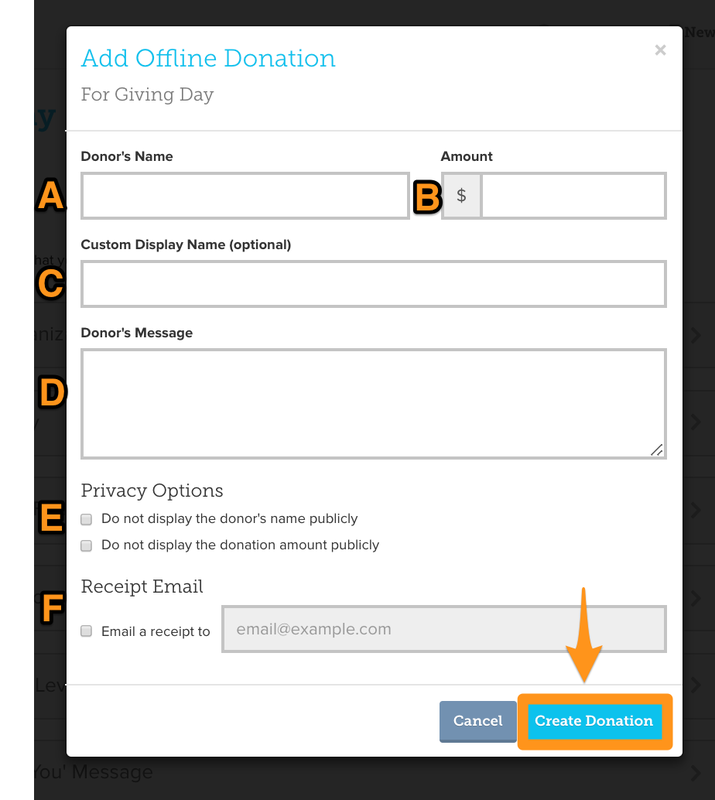 After clicking the “Add Offline Donation” link a pop up box will appear and you’ll be able to add (a) the donor’s name, (b) their donation amount, (c) the name displayed alongside the donation if different from the donor's name, (d) the message the donor wishes to include with their gift, and (e) the option to hide donor name and/or gift amount, (f) the email address to which a receipt for the donation will be sent. Once you have entered all of this information click the “Create Donation” button and that amount will automatically be attributed to your Giving Day total and will be reflected on your Giving Day profile page.